More and more often, Hollywood’s brightest stars are stepping behind the camera and into a new role as director. Some are also co-writing and leading their own films, establishing themselves as triple threats in the industry. Check out the actors making their directorial debuts this month. On October 5, Bradley Cooper will make his directorial debut with A STAR IS BORN, which he also co-wrote and starred in as seasoned musician Jackson Maine. His version is the latest remake of the film — the fourth total — yet the romance-drama feels new, relevant and important. Superstar Lady Gaga as struggling artist Ally is the cherry on top of an already stellar story. Hear more from the cast in our exclusive interview. 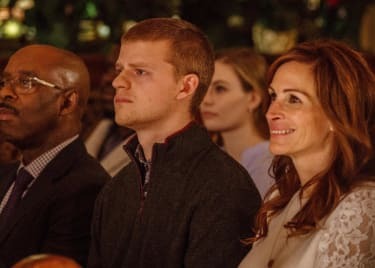 Gaga told us Cooper “had his hand in absolutely every single thing that was a part of this movie,” from how the characters were shot to the sound and original songs. This level of meticulousness could have come across as forced, especially from a first-time director, but instead seemed effortless. The end result is a beautiful film with raw emotion and intimacy between the leads. A STAR IS BORN is sure to be an Oscar® contender and may earn Cooper his first win in multiple categories, including Best Director. 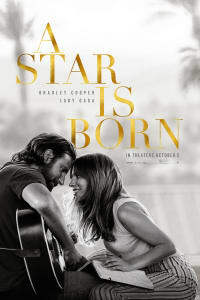 Get your tickets to A STAR IS BORN at AMC today. 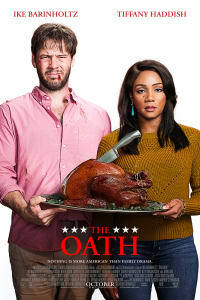 Ike Barinholtz takes on the divisive political climate with his directorial debut, THE OATH. He also wrote and starred in the dark comedy alongside funny-woman Tiffany Haddish. You may recognize Barinholtz from TV series such as MADtv and The Mindy Project, but THE OATH may elevate the actor in the film industry. We all know you’re never supposed to talk politics or religion at the dinner table. But with the President’s looming “loyalty oath,” one family breaks tradition over their Thanksgiving meal, turning them against each other. 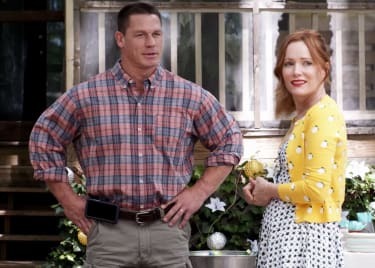 In an exclusive interview with AMC, Barinholtz said, “We wanted just to kind of, you know, make it not really about politics, but make it about how this family reacts to politics.” There’s ridiculousness shown on both sides, and the film ultimately reminds us to keep our humanity, even when we disagree. Hear more from the cast and check back to get your tickets to THE OATH, opening October 12 at AMC. We’re used to seeing Jonah Hill in comedic roles (21 JUMP STREET, SUPERBAD), but over the years, he’s also proved himself as a serious actor, achieving Academy Award® nominations for THE WOLF OF WALL STREET and MONEYBALL. Now, Hill is adding writer-director to his resume with MID90S, opening October 19. The coming-of-age dramedy is an impressive debut for Hill. Though the film is rooted in a niche culture of 90s-era LA skateboarders, Hill makes the story relatable. It is a genuine portrayal of a young kid wanting to fit in and losing his way — or finding it, depending on your perspective. There’s also a grittiness to MID90S, from the documentary-style look to the talent, most of which aren’t well-known; some aren’t even actors. Everything about MID90S is understated, as if Hill wanted the film to be a slice of life, a normal day, further adding to its authenticity and humility. Check back to get your tickets to MID90s at AMC. Paul Dano, who you may know from PRISONERS, THERE WILL BE BLOOD and LITTLE MISS SUNSHINE, will also make his directorial debut October 19. WILDLIFE is a drama based on the novel of the same name, starring Jake Gyllenhaal, Carey Mulligan and Ed Oxenbould. 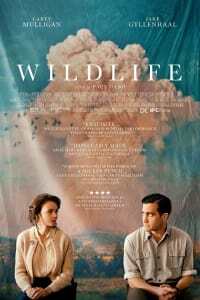 Check back to learn more and get your tickets to WILDLIFE at AMC.